Unfortunately, cookies can also be used by advertisers such as DoubleClick to track your web surfing habits so that they can deliver ads based on your interests. Many people consider this practice an invasion of their privacy. While it is possible to disable cookies in your web browser, this may limit the functionality of some websites that rely on them. For this reason, you may want to leave cookies enabled. However, you can delete cookies downloaded to your hard drive at any time. An easy way to remove cookies is by running a program such as AdAware. This program will scan your computer and provide you with a report that shows all the cookies downloaded to your computer. You can then select the ones you want to delete. 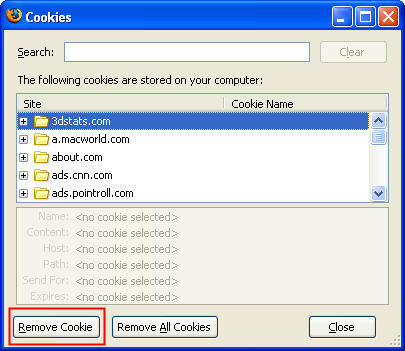 You can also remove cookies manually using the preferences for your web browser. 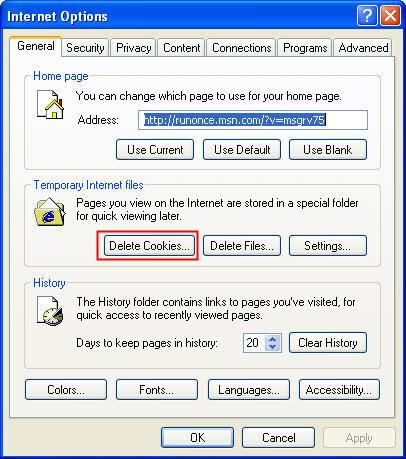 To delete cookies in Internet Explorer 6, select Tools, Internet Options and in the General tab click on Delete Cookies. This will delete all cookies stored on your hard drive. To delete cookies in Mozilla Firefox, select Tools, Options, Privacy and click on the Clear Cookies Now button near the bottom of the window. You can delete individual cookies by clicking on the View Cookies button, selecting the cookie you want to delete, and clicking on the Remove Cookies button. If you have selected to save your login information for a website, you will have to reenter that information the next time you visit the website if you choose to delete cookies.